Please. We pass not only to feel better about ourselves, but to survive. In a Trump world, being clocked is more than an inconvenience- it’s a real and present risk that leads to being attacked and even murdered. Talk pretty words all you like, but passing is about survival. In the most literal sense imaginable. You have not lived in a trump world yet, and thus have no factual basis for that statement. We have lived in a violent world already, with 24 transgender deaths this year so far. Having someone new in office is not going to change that. Stop trying to be a cis-gender clone, and just be. Exactly Tori. Just be. Just be yourself. If your self is very feminine, be that. Of your self is very masculine, be that. Wherever your self is in between, thats great to. Meanwhile demeaning people who end up on one end of the scale by calling them “cis clones” is a rather sad example of oppressing people in one’s own group. Let people be happy with themselves. TaltosGirl, it would not let me reply directly to you for some reason, so here it is. It was not an attempt to demean the person. It was simply a response to a non-nonsensical political statement. I apologize if it was interpreted that way. I happen to live in a very accepting city, Orlando. I have been transitioning since the end of January, but out 24/7 since the Pulse shooting. I took that event as a challenge to be myself, and be damned what anyone else thinks. I still get misgendered occasionally by those who don’t know me, but I have NEVER had a negative reaction to being trans. I have had a lot of curious people, who I have done my best to educate, and made some fantastic friends. 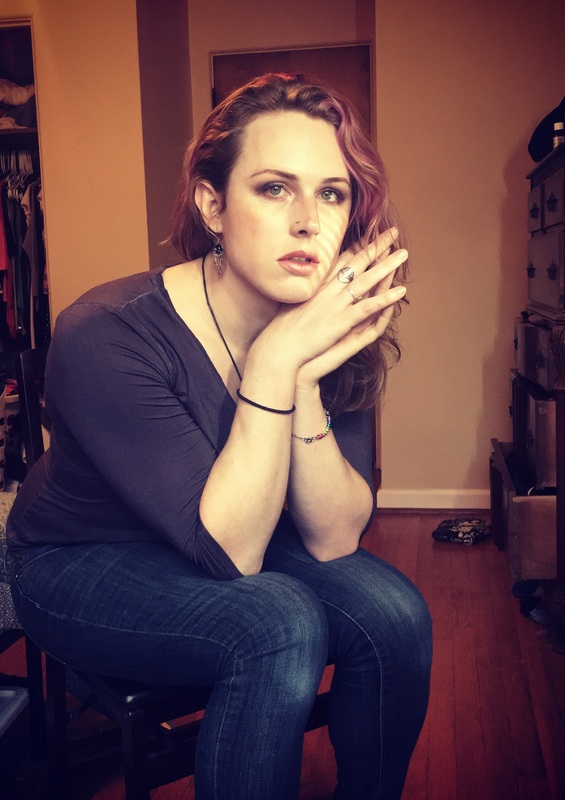 I struggle with the topic of passing, and have done a lot of very in depth soul searching about why. I tend to agree with the original author, that we use, “passing” as a yard stick to measure ourselves by, and believe it is wrong. Being transgender is NOT something to hide as if we are ashamed of it, or ashamed of ourselves for being it. It is something special and awesome in a world of conformity. We are people who are desperately trying to be ourselves in a violent world. One which is filled with hate and misconceptions about who we are. It is up to us to educate those who are interested, in who and what we are, and ultimately it is up to us to be happy with who we are. If that means you have to achieve that golden standard of, “passing”, then so be it. I will never reach that standard. I am 49 years old and was very much considered a manly man before coming out. 49 years of testosterone damage that will never go away. But that’s ok. I am who I am, not who people say I am. I am PROUD to be me. Tori, it seems to only allow replies to the main comment. Thank you for the response. Thank you for clarifying your thoughts. I transitioned about 2.5 years ago. I did not pass well at first and people were horrifically cruel for that first year. Two years l pass very well after some surgeries and a lot of learning… and now I get attacked by other LGBT people for “hiding” or being a “cis clone.” It hurts more than the nastiness I received at the hands of cis people. I went to a few activist events and was treated to speeches about how much it harms the rest of us that I pass. I guess I was naieve to assume that our shared experiences makes us a kind of family. I “pass” because when I see masculine traits I have an intense urge to carve them out of my face and body. I “pass” because some of my friends are makeup artists and taught me a few tricks. I “pass” because hearing my own rumbly voice gave me horrific nightmares, so I took voice training lessons and practiced obsessively because I didnt like self censoring myself due to the immense pain I felt when I heard my own voice. All that aside, I am not special. Being “pretty” does absolutely nothing to make me a better or worse person. That said, I absolutely refuse to hide and pretend to be Cis as long as ANY of us have to hide. I am 100% out as transgender. I am out to my coworkers, my friends, my family and I tell people if it is relevant, its ok to tell someone who inquires that I am trans. Its a sign of our shallow humanity that in some ways my voice gets heard more than those of us who do not “pass.” So I resolved that I would do my best to make sure that I use that voice to remind Cis people that we are all human. That every single one of us hurts the same, regardless of us being trans men or trans women, or height or deepness of voice. Every one of our smiles holds immense pain and a burning desire to find a way to love ourselves. So in conservative Idaho I went on the news more than once, outing myself, to try and amplify all of our voices. I hesitate to even comment on this as this issue has been a topic written and argued about ad infenitum over for many, many decades, Personally i have gravitated to a more comfortable place but in order for me to talk about it, i have to take off my activist hat. The one that is emblazoned with the words ‘we are one’ and ‘no one left behind’. Anyone in our community who cares about our community had one, right? So let me take off thatbhat forva moment to offer ‘my’ own personsl feelings on this topic. It is just as wrong to be cruel to someone who passes as it is to be cruel to someone who doesnt. Just let people be happy in their own way. We are MORE than passing privilege. We are TRANS. All of us. No one should have to pass to have to survive. We need to break down these walls and open honest communication. Those of us who have the spoons to teach others should do so. Ignorance and bigotry and hatred all come from a lack of understanding or an inability to walk in another’s shoes. You speak truth here as hard as it is for some to hear it.. This is a problem seen from many different viewpoints. Truth is, that transwomen coming out want and need the security of a crowd when venturing out. For transwomen who living as their lives ‘it is the means by which everyone in your group is scrutinized.. sad but true. This said, w4 all have an inherent responsibility to help each other in the ways we are able, even if not in the ways expected..
Isn’t is paradoxical to despise the heteronormative framework for its dichotomy which makes society hostile towards people who don’t match the gender associated norms while trying to meet and live up to those norms at the same time? Is it necessary to wear a dress, use make-up and behave female-like (whatever that may be) to identify yourself as a women? I understand that people will not recognize you as a women when you not meet “the standard” but who decides on what that standard is in the first place? In the Netherlands it is possible to have your legal gender identity changed into the one you feel right without the need for surgery. So it is possible for a biological male to have a passport stating a female identity while still looking and dressing like a male. Does that make that person less female? Why does identifying as a female imply impersonating one? One of the real problems with the whole passing narrative that I do not see discussed very much is just how much passing and the ability for a trans person to pass is tied to the standards of the Local Area. For example, in some places, a trans woman can get away with less makeup and dressed down easily and still be gendered correctly. Driving 20 miles away though, for example to a higher income area, they may not pass nearly as much. For example, where I live in a more rural area of the Seattle-Tacoma area of Western Washington, I get away with a lot thanks to the relaxed atmosphere and the “PNW Lesbian Look”, if you will. If I were to live in SoCal though, the standards expected of women are totally different, and I might not pass nearly as well. It’s a moving target that’s dependent on a lot of geographical and social expectations. That’s one of the biggest problems I have with people asking if they pass on internet forums. People from different areas judging your ability isn’t really a good idea. It’s practically a recipe for disappointment and self reproach. If passing is a personal concern, the best thing to do is to go local places and observe others of your gender inconspicuously. What do they look like at the grocery store? How about where you work? What are the local customs and norms? When I actually took the time to look around where I lived, it was amazingly therapeutic and helped me relax into my gender more just to spend time covertly peeking at other women inthe grocery store, which is one of the most dressed down places where you’re likely to see your gender represented with the least social expectations present.